Since 1974, we have used heritage skill to create modern American leather goods. Browse galleries for inspiration, shop original designs, or let us create your custom dream project. Thank you for visiting. We're glad you're here. We are a small, family-owned business. 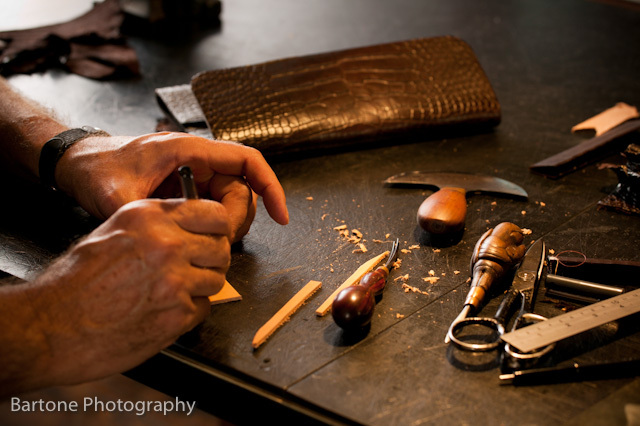 Our craft is steeped in tradition and the people behind the scenes are as special as the treasures they create. Our staff, like our work, spans generations and transcends backgrounds and walks of life. We remain vigilant and dedicated to quality, creativity, and customer satisfaction. Meet the hands of Pinnell.